The Best Prime Day Deals on Amazon Devices Are Back, Courtesy of...Best Buy? If you didn’t get your fill on Prime Day, Best Buy’s running a pretty ridiculous one-day sale on Amazon-branded devices today. 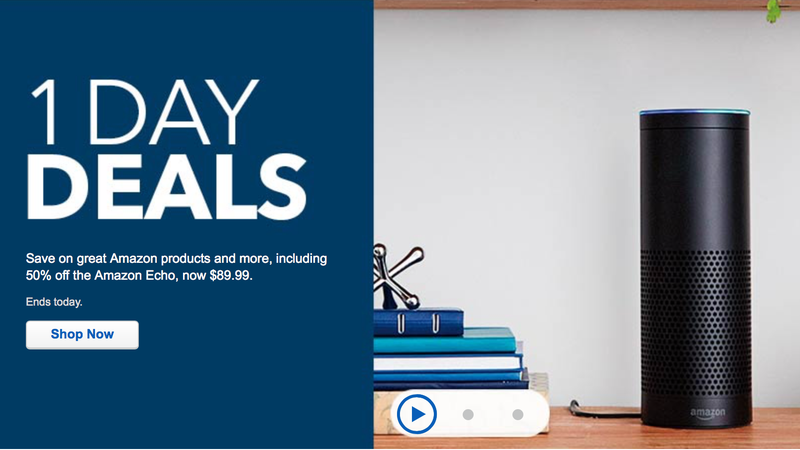 Highlights include the Echo for $90, the Echo Dot for $35, Kindle Paperwhite for $90, and the Fire tablet for $30, all of which are matches for the prices we saw on Prime Day.